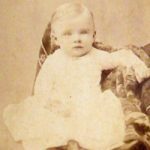 Lucy Belle Claybourn (sometimes called “Belle”) was born 20 May 1867 to William Divine Claybourn and Elizabeth Maxey at Texico, Illinois. She received her education in the schools of Jefferson County. On 4 March 1885 she married Edgar Eugene Norfleet. [Edgar Norfleet was born on 3 February 1861 at Clarkesville, Tennessee.] He attended the University of Illinois and was a teacher. In 1898 they moved to Texas where Ed taught in the elementary schools of east Texas. In 1900 he began working for the Houston Post and in 1905 they settled in Houston where he continued to work for the Houston Post. After he retired, he operated a small grocery store near a school where children bought lunches, candy, and school supplies. Belle was small like most of the Claybourns, being only five feet, one inch in height. She had blonde hair and blue eyes. Ed was five feet, ten inches, and in his prime weighed two hundred pounds. They had eleven children, all listed below. Ed died on the 1st of December in 1946 and Lucy followed on the 21st of April in 1949. Both are buried at the Hollywood Cemetery in Houston, Texas. Harold Cecil Norfleet was born on 17 December 1885 in Dix, Illinois. He worked for the Interstate Amusement Company and lived in Dallas, Texas, and Los Angeles, California. He claimed to have originated the idea of a “This is Your Life” program on the radio, although other accounts suggest the concept originated with the show’s producer Ralph Edwards. He was married and divorced with no children. He died on 20 July 1955 and is buried in the Hollywood Cemetery in Houston, Texas. Guy Raymond Norfleet was born on 17 August 1887 in Dix, Illinois. He lived at 117 North Ninth Street in Temple, Texas. He married (1st) on 4 May 1911 to Leona Josephine Le Clair (born on 21 October 1890 in Savannah, Chatham County, Georgia). They had one child, Nona, listed below. 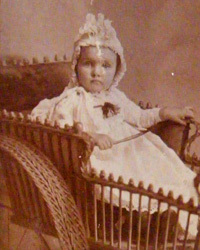 Leona died on 27 December 1911 in Houston, Texas, shortly after giving birth to her first child. She is buried in Oakland Cemetery in Le Flore County, Oklahoma. Guy married (2nd) Othella “Peggy” Norfleet (no relation) on 3 September 1889 in Sebastian County, Arkansas. They adopted a child, Guy, listed below. Peggy died on 10 January 1963 in Bell County, Texas. She is buried there in Hillcrest Cemetery. When Guy R. Norfleet Sr. was about eighty years old he moved in to live with his son and his son’s wife. He died on 15 January 1979. Leona Julia “Nona” Norfleet was born on 17 December 1911 in Houston, Harris County, Texas. She was raised by her mother’s parents, Frank H. LeClaire (1866-1941) and Julia J. Jones LeClaire (1872-1921) and sometimes used the surname LeClaire. Nona married in about 1934 to William French Arnold (born on 26 January 1907 in Rusk County, Texas). They adopted two children, Betty and Billy. William died on 15 July 1992 in Harris County, Texas, and Nona died on 17 June 2001 in Conroe, Montgomery County, Texas. They are buried together in Brookside Memorial Park Cemetery in Harris County. Betty Jo Arnold was born on 9 February 1938 in Houston, Harris County, Texas, and was adopted by Nona and William. She married (1st) to Mr. Strawn in about 1955. She married (2nd) to Jimmy Ed Mann (1939-1999) in about 1957 and they had a daughter, then divorced about 1959. She married (3rd) to John Clelland Fontaine Jr. (1926-2001) of Shreveport, Louisiana, on 15 April 1966 in Harris County and they divorced there on 20 September 1971. Susan Lea Mann was born in 1958 in Harris County, Texas. William Charles Arnold was born in 1946 in Harris County, Texas. He married on 16 July 1965 to Marsha Dianne Burns (born in 1944 in Wilbarger County, Texas). They had a daughter and later divorced on 12 July 1973 in Harris County. Shellye Cay Arnold was born in 1966 in Harris County, Texas. Guy Raymond Norfleet Jr. was born on 4 July 1927 and was adopted by Guy and Peggy Norfleet through the Methodist Home in Kansas City, Missouri. He lived in New Orleans and worked for Humble Oil Company. In 1951 Guy married Sammie Elaine Wallette. [Sammie Wallette was born in 1930 in Natchitoches, Louisiana, to Samuel Evert Wallette (1906-1983) and Flora Dora Rachal (1912-1969). She was named Sammie because her father Sam really wanted a boy to carry on his name. ] They had three children together. Guy died on 7 January 2011. Barbara Ann Norfleet was born in January 1953 in Louisiana but died shortly thereafter on 25 October 1956. Patricia Elaine Norfleet was born in 1955 in Louisiana. Ann Elizabeth Norfleet was born in 1958 in Louisiana. She married William Michael Viverette and together they had two children, Michelle Lee Viverette (b. 1983) and Alan Palmer Viverette (b. 1987). George Wilmont Norfleet was born on 20 September 1889 in Dix, Illinois. He lived in Houston and was a cotton buyer most of his adult life. 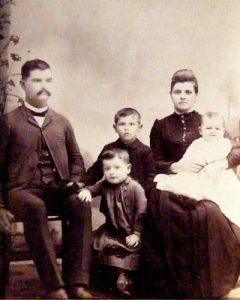 He married on 29 November 1923 to Lucyle Henry (born 12 September 1887 in Troup, Texas) and they had one child. George died on 16 July 1950 and is buried at Forest Park Cemetery in Houston, Texas. After his death Lucyle lived in Tyler, Texas, and eventually died on 25 September 1960. She is buried with her husband. Bettye Lou Norfleet was born on 13 January 1925 in Houston, Texas. She married on 1 February 1951 to her third cousin Henry Marshall Claybourn, the son of Guy Raymond Claybourn. They and their family are described in greater detail in the entry of Guy’s father Cashus Claybourn. Gladys Norfleet was born on 10 April 1891 in Dix, Illinois. She married on 22 May 1912 to Harry Berkey Jewett. [Harry Jewett was born on 15 December 1888 in Bismark, North Dakota, to Charles Jewett and Emaline Berkey.] 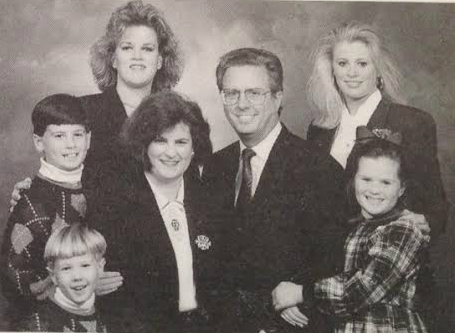 They lived in Houston, Texas, and had two children together. [Theodore Victor Herrmann, vol. IV of History and Genealogy of the Jewetts of America (Rowley: The Jewett Family of America, Inc.), 1458.] Harry was an outstanding businessman and community leader in Houston from the 1920s to the 1970s. He was partner in Rolle, Jewett and Beck, the largest retail men’s store in the South. He was also president of the Retail Merchant’s Association of Houston and the State of Texas, and of the Retail Credit Association of Houston and of the State of Texas. He was chairman of the Advisory Board of the Houston Salvation Army in the 1950s, organized and was the first vice president of the Heart Association in Houston, and was potentate of Arabia Temple Shrine in 1938 in Houston. As education chairman of the Houston Chamber of Commerce, Harry was instrumental in bringing Baylor Medical School to Houston and in the planning and development of the Texas Medical Center. He was the first appointed member of the Board of Shriners Hospital for Burned Children at Galveston, Texas. He was also on the Houston City Charter Commission in 1938 and was very active in Houston Community Chest. Gladys died on 16 September 1969 and Harry died on 18 November 1978, both in Houston, Texas. They are buried together in Hollywood Cemetery in Harris County, Texas. 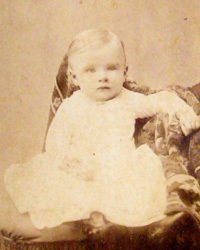 An infant male Jewett was stillborn on 16 March 1913 in Houston, Harris County, Texas. He is buried in Hollywood Cemetery in Harris County. Dorothy Gladys Jewett was born on 4 September 1914 in Houston, Texas. She graduated from Rice University in 1937 and from Columbia University’s School of Journalism in 1938 with a master of science degree, after which she was a reporter for the Houston Post in Houston, Texas, joining her grandfather Ed. Dorothy married on 14 February 1939 to James Wilson Stitt, an advertising manager for the Dixie Cup Company. [James Wilson Stitt was born on 25 April 1916 in Cuyahoga County, Ohio.] They spent most of their life together in Easton, Pennsylvania, and had two children. Following her marriage, Dorothy spent sixty years using her professional writing skills doing volunteer publicity work for and serving on the boards of many charities and organizations in Easton. Among these were the United Way, the YWCA, the American Red Cross, and the Salvation Army. Her avocations were golf, swimming, antiques, and genealogy. She was listed in several different editions of Marquis’ Who’s Who. 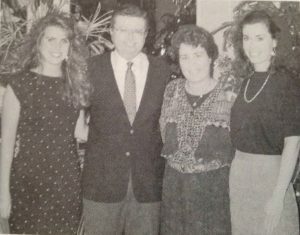 Beginning in 1970, Dorothy edited and published an annual yearbook for twenty-five years for the Jewett Family of America. She was also special assistant to the publisher of volumes III and IV of History and Genealogy of the Jewetts in America. [Herrmann, History and Genealogy of the Jewetts of America.] An avid traveler, Dorothy regularly drove to Texas, Missouri, and Florida to visit her family and relatives and, with her husband, took six world cruises and visited thirty-five different countries. 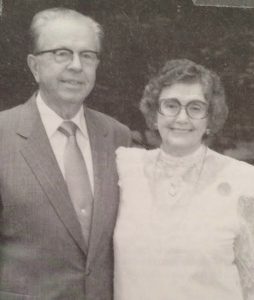 In 2007 James and Dorothy Stitt moved out of their house and into a nursing home. As part of this move they parted with a number of items, including some that Dorothy had collected during her genealogical research. One of the items is now known as the “Claybourn Bible” and its story is told here. James died on 12 January 2010 in Northampton County, Pennsylvania, after sixty-nine years of marriage with Dorothy. Dorothy died on 7 March 2012 at Moravian Village of Bethlehem. They are buried together in Easton Cemetery in Northampton County. James Harry Stitt (“Jim”) was born on 13 December 1939 in Sellersville, Pennsylvania. Jim was raised in eastern Pennsylvania and went to college and graduate school in Texas, where warm weather was better for his asthma. He earned a bachelor of arts degree from Rice University and ultimately attended the University of Texas, where he earned a PhD. in 1968. During school, on 1 August 1964, he married Marlene Elizabeth MaGee. [Marlene MaGee was born on 19 April 1943 in Yoakum, Texas, to William Morgan MaGee and Doris Lorraine Glass.] Marlene graduated from the University of Texas in 1964 and worked as a teacher. After obtaining his doctorate degree Jim accepted one of the few teaching jobs available in paleontology — at the University of Missouri. Jim and Marlene moved to Columbia, Missouri, in 1968 and their two daughters were born and raised there. He taught introductory geology and paleontology at Missouri for twenty-seven years. During that time Jim obtained an international reputation for his publications on trilobites (extinct anthropods) from Oklahoma, Texas, Arkansas, Missouri, South Dakota, and Alberta, Canada. James died on 17 September 1999 and Marlene followed on 31 December 2003, both in Columbia, Boone County, Missouri. They are buried together there in Memorial Park Cemetery. Tanya Suzanne Stitt was born on 18 October 1968 in Columbia, Missouri. She graduated in 1991 from the University of Missouri and worked there as director of advertising in the publications office. Merrilee Noel Stitt was born on 6 December 1971 in Columbia, Missouri. She graduated in 1994 from the University of Texas and worked as a mechanical engineer with 3M Corporation. She married Jay Barta in June 1999 and they had a baby girl, Jamie Noel Barta, on 19 December 2001. Merrilee’s hobbies included golf, traveling, pottery, and photography. Thomas Paul Stitt was born on 2 October 1943 in Sellersville, Pennsylvania, and attended high school in Easton, Pennsylvania. He graduated from Duke University (1965) and Southern Methodist University’s law school (1968). Thomas served in the U.S. Army as a 1st lieutenant from 1969 to 1971. Thomas married (1st) on 19 June 1970 to Susanne Reifsnyder Jenkins. [Susanne Jenkins was born to John Reifsnyder and Jean Ackerman. She was previously married to Mr. Jenkins, who was the father of her oldest child, who later was adopted by Thomas Stitt. She graduated from Lafayette College and worked as a computer programmer.] They had three children and later divorced. He married (2nd) on 19 August 1983 to Melinda Millheim. [Melinda Millheim was born on 11 February 1958 in Easton, Pennsylvania, to Francis Millheim and Gladys Schell.] They had three children. Melinda graduated from Lafayette College and worked as a stock broker. Thomas focused his legal work primarily in general corporate law, real estate, estate planning, and business. He was a partner in Coffin, De Raymond, Shipman and Stitt before going into private practice on his own. He served as attorney for various boroughs and townships. He was also heavily involved in the community, including as chairman, director, and attorney of the Lehigh Valley Red Cross, elder and clerk of the session for First Presbyterian Church, and a board member of the Easton Area Library. He also served on the State Theatre Restoration Board of Directors and was president when the group raised millions of dollars. Thomas was an accomplished golfer and won the Northampton County Championship over ten times. He was also a mason and Shriner. 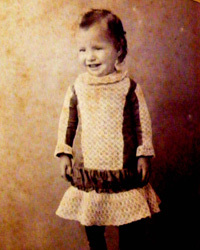 Alicia Jenkins Stitt was born on 8 February 1964 in Easton, Pennsylvania, and was adopted by Thomas and Susanne. Jeffrey Harrison Stitt was born on 29 April 1971 and died the following day on 30 April 1971 in Easton, Pennsylvania. Rebeca Jean Stitt was born on 29 January 1974 in Lehigh Valley, Pennsylvania, and was adopted by Thomas and Susanne. Thomas Paul Stitt Jr. was born on 17 September 1984 in Allentown, Pennsylvania. Victoria Elizabeth Stitt was born on 8 September 1986 in Allentown, Pennsylvania. Andrew James-Francis Stitt was born on 24 August 1989 in Bethlehem, Pennsylvania. Harry Berkey Jewett Jr. was born on 17 April 1918 in Houston, Texas. He attended San Jacinto High School and graduated from Allen Academy. He married on 16 November 1940 to Mary Louise Jones. [Mary Jones was born on 8 November 1918 in Houston, Texas.] They had five children. Harry attended Texas A&M and the University of Texas before serving in the Army Air Corps during World War II from 1943 to 1945. Harry worked with his father at Rolle, Jewett & Beck men’s clothing store until 1957 and later retired from Montgomery Ward. He was a 32nd Degree Mason with Houston Lodge #1189, and a member of the Scottish Rite, Knight’s Templar, Arabia Temple Shrine, Jesters, and served as President of the Shrine Patrol in the 1950s. He was also a member of the Houston Rotary Club, the 20/30 Club, and the Bamboo Social Club of Houston. Harry and Mary divorced on 30 January 1981 in Harris County, Texas. Harry died on 2 September 2006 in San Antonio, Texas, and is buried in Hollywood cemetery in Harris County, Texas. Harry Berkey Jewett III was born on 20 May 1941. He began studies at Texas A&M in the fall of 1959 and married on 11 April 1964 to Patricia Ann “Patti” Martin (born in about 1943). They had three children. John Martin Jewett was born prematurely on 9 March 1967 in Harris County, Texas, and died the same day. Shelly Christine Jewett was born in 1969 in Harris County, Texas. She married (1st) on 28 December 1991 in Bexar County, Texas, to Keith C. Darby II (born in 1966). She married (2nd) on 1 February 2003 in Travis County, Texas, to Douglas Lanehart Davidson (born in 1965 in Travis County). They divorced on 29 December 2005 in Bexar County, Texas. David Wayne Jewett was born in 1971 in Bexar County, Texas. He married on 11 June 1994 in Nueces County, Texas, to Velisa Lyn Butler (born in 1972). They had a son named James Bryson Jewett in 1995 in Jefferson County, Texas. Margaret Anne Jewett was born on 17 November 1943 in Houston, Texas. She married on 26 January 1962 to Sydney Earl Vanwagner (born on 7 May 1940 in Harris County, Texas). They had four children, listed below. He died on 15 November 2009 in Houston and is buried in Fairview Cemetery in Grimes County, Texas. Gregory Earl Vanwagner was born in 1968 in Harris County, Texas. He married on 14 June 1996 in Grimes County, Texas, to Jennie Renee Alvarado (born in 1972 in Carson County, Texas). Jeffrey Earl Vanwagner was born in 1969 in Harris County, Texas. Sheila Louise Vanwagner was born in 1973 in Harris County, Texas. She married on 7 July 2001 in Harris County, Texas, to Lawrence Christopher Pinson (born in 1975 in Harris County, Texas). Stephanie Anne Vanwagner was born in 1986 in Walker County, Texas. Katherine Louise Jewett was born on 24 June 1949 in Houston, Texas. She married on 15 August 1970 in Harris County, Texas, to Robert John Shewmaker (born in 1949 in Dallas County, Texas). They had two children. Mary Kristine Shewmaker was born in 1974 in Gregg County, Texas. She married on 9 September 2000 to Stephen George Rush (born in about 1972). John Scott Shewmaker was born in 1977 in Gregg County, Texas. He married on 22 April 2000 in Collin County, Texas, to Kati Jean Weldon (born in 1980). They divorced there on 6 July 2010. Charles Edgar Jewett was born on 4 June 1952 in Houston, Texas. He married on 8 January 1977 in Rockwall County, Texas, to Joanna Ferrell (born in 1952 in Cass County, Texas). They had three children, then later divorced on 29 June 2007 in Harris County, Texas. Katy Elizabeth Jewett was born in 1980 in Harris County, Texas. Andrew Charles Jewett was born in 1983 in Harris County, Texas. Julie Marie Jewett was born in 1987 in Harris County, Texas. Douglas Eugene Jewett was born on 14 August 1957 in Houston, Texas. He married on 19 August 1978 in Brazos County, Texas, to Cathy Lynn Pyburn (born in 1958 in Harris County, Texas). They had one son. Brian Douglas Jewett was born in 1983 in Travis County, Texas. He married on 12 November 2011 in Bexar County, Texas, to Katherine D. Brewer (born about 1983). Laura Jewett was born on 12 May 1962 in Houston, Texas. She lived in Houston with her partner Karen Hendricks. 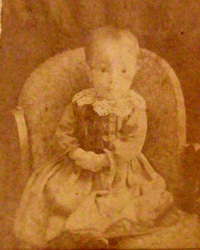 Eva N. Norfleet was born on 10 July 1893 and died shortly after on 25 September 1893 in Dix, Jefferson County, Illinois, and is buried in Jordan Chapel Cemetery. Pearley Horace Norfleet was born on 4 October 1894 in Dix, Jefferson County, Illinois. He died on 17 August 1913 in Houston, Harris County, Texas, by drowning while swimming with a group of boys. He is buried in Hollywood Cemetery in Harris County, Texas. 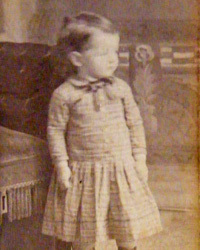 Eula Norfleet (a twin) was born on 8 June 1896 in Dix, Jefferson County, Illinois, but died soon after on 18 July 1896. She is buried with her twin in Jordan Chapel Cemetery. Beulah Norfleet (a twin) was born on 8 June 1896 in Dix, Jefferson County, Illinois, but died a few months later on 1 November 1896. She is buried with her twin in Jordan Chapel Cemetery. Jewell Norfleet was born on 21 October 1898 and died nearly a month later on 30 November 1899. She is buried in Glendale, Texas. Ruby Norfleet was born in Trinity County, Texas, on 15 January 1900 and died nearly six months later on 7 June 1900. She is buried near her sister in Glendale Cemetery. 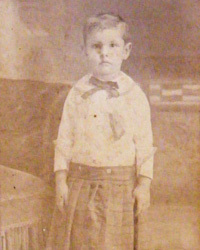 Eugene Divine Norfleet was born on 28 May 1904 in Trinity County, Texas, and died within a few months on 3 July 1904. He is buried near his sisters in Glendale Cemetery.